Their shaman grabs some clay from the bank of a nearby pond. he uses a claw like finger nail to prick a finger on each hand just enough to draw blood. He then begins to shape the clay, working a small amount of his blood into it as he does so. He keeps this up until it is the the rough shape of a bear. Says a prayer. Then holding it with his hands encircling it he breathes a long slow breath into his hands. 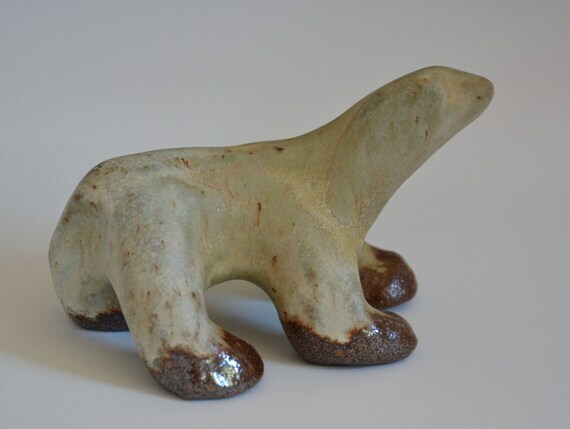 When he opens them a rough dove grey statue of a bear is revealed. Surprisingly it is hard as if it has just been fired. He hands it to you and says, “If you are ever in dire need, say my name and smash this against the ground. You all you carry will assume the form of one of my kind. All of your wounds will be healed and you will be fully refreshed. You may not speak in this form and cannot change back of your own will, but your mind remains your own. Only the next sunrise ends the spell and once again you will be healed, refreshed, and transformed. But know this, unlike spells with which you may be familiar, if you die in this form you are dead and your corpse will remain in this form. He walks away from you looking almost feeble compared to how he looked before. Question: A character has freed a small group of werebears from slavery. How can they reward her given they have nothing at the time? The most common answer and the least reasonable was Lycanthropy. As in the were-bears bite the character and “infect” her with their disease. I say unreasonable because allowing PC’s to contract things like Lycanthropy or Vampirism usually leads to a run-away power spiral. In other words, granting those abilities on top of the abilities the character already has is almost always OP (over powered.) And because according to the Rules as Written when such conditions are contracted the actions and motives of the character cease to be under control of the Player and the character is surrendered to the DM to control as an NPC. Several other answers included; A token showing that the character is a friend of the were-bears and will allow them to be treated as such by other were-bears they meet. Friendship. Shelter. Aid in battle. All of these were good ideas, even if the Lycanthropy is OP and unworkable it does make a certain sense. So I thought how do you do all of the above without it being OP or giving the character Lycanthropy… How about a blessing or one time use item that gives the Character the main benefit of Lycanthropy, once, without the actual disease, or loss of control. I didn’t want to make it a spell as it break too many of the rules for spells in regards to duration and concentration etc. But how do I arrange for them to give the players an item when they have just been freed from slavery. 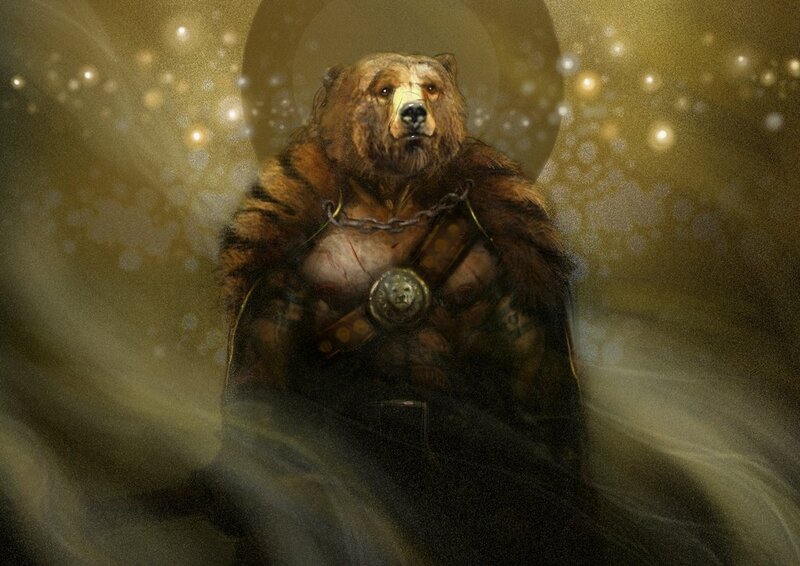 Well were-bears are often seen as primitive and barbaric but generally “good” creatures who are often druids or rangers in their human form. They are generally close to nature. So even “primitive” societies create pottery with clay, it seems like something a druid would do, and the materials might be right at hand… With these thoughts in mind I wrote the narrative. The figurine is small, less than three inches long. It serves as a token of good will as any wearbear will recognize it for what it is.